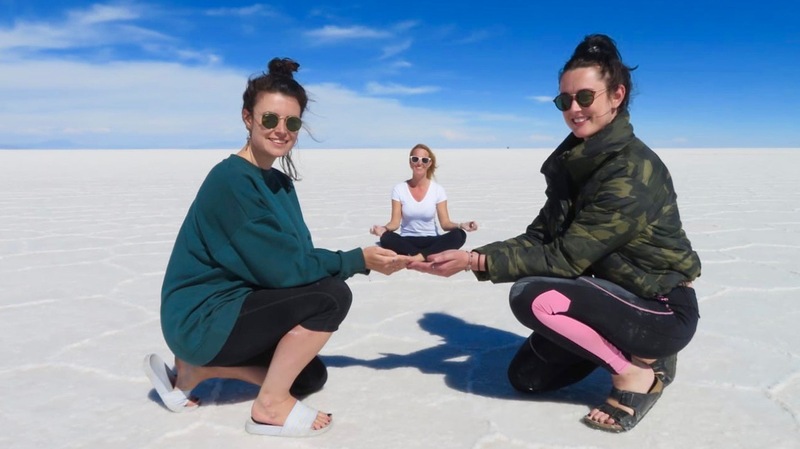 This Salt Flats Bolivia 3-day Tour encompasses captivating sunsets, epic reflections and Instagram-worthy pictures of the world’s largest Salt Flats. Imagine finally witnessing where the earth meets the sky and taking in all this magical place has to offer! Let us take care of the details whilst you thoroughly enjoy Salar de Uyuni and the National Reserve Eduardo Avaroa. 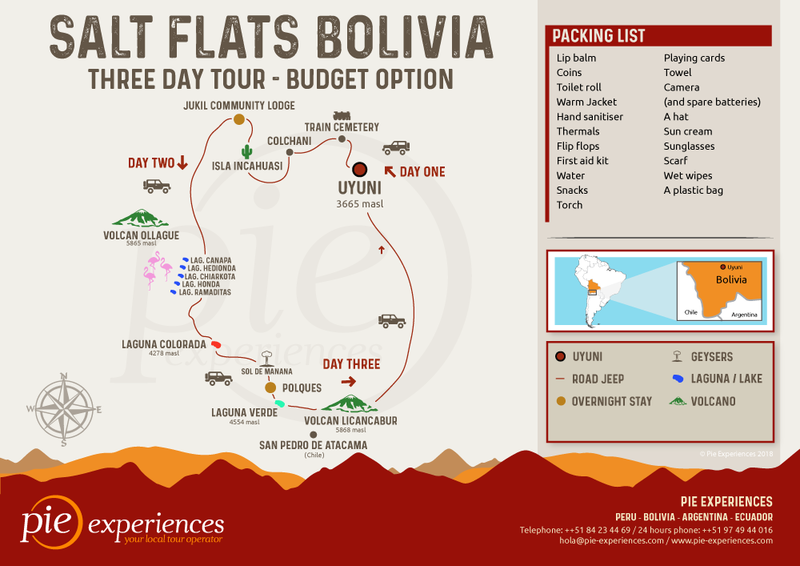 This 2-night adventure of Bolivia’s impressive Salt Flats and natural wonder is a definite tick off your bucket list! This excursion is one of the most popular tours and provides the perfect combination of adventure, nature and comfort for the budget-conscious traveller. 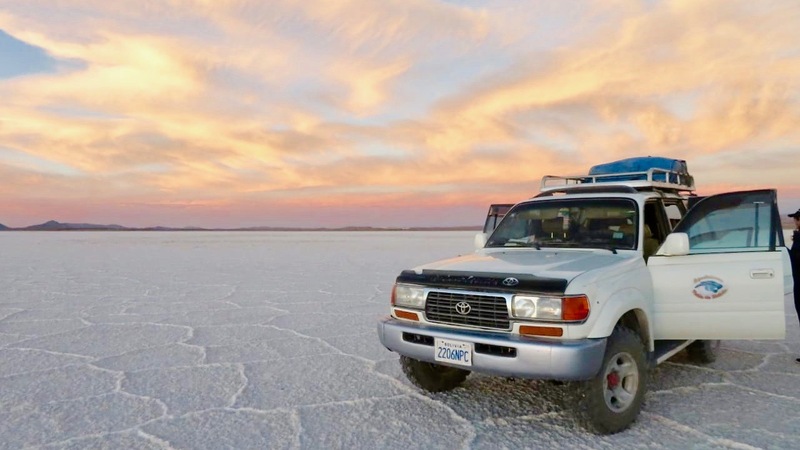 Rise and shine: your Salt Flats Bolivia 3-day Tour begins upon pick-up from your accommodation in Uyuni. We start at the great ghostly train graveyard to view the abandoned skeletons of old steam engines and wagons. Then we visit the gateway for all Andes salt expeditions – the community of Colchani, Potosi. Learn how many tonnes of salt is extracted every year. Here you will also find incredibly unique and locally-produced handicrafts made from Salt! 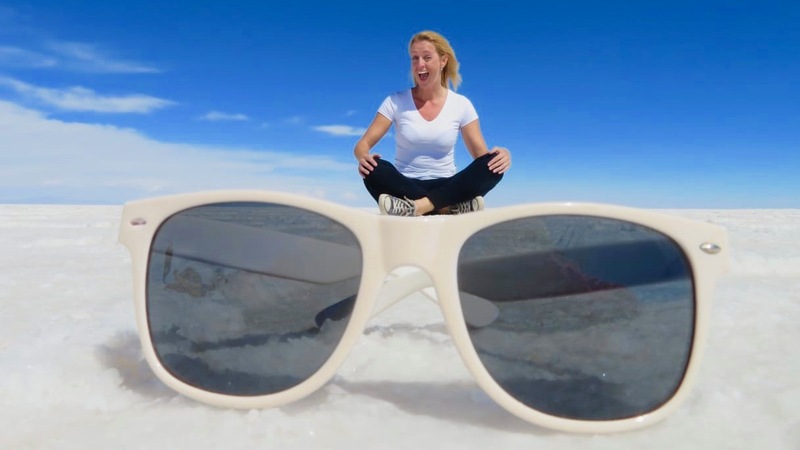 What is a salt flat? 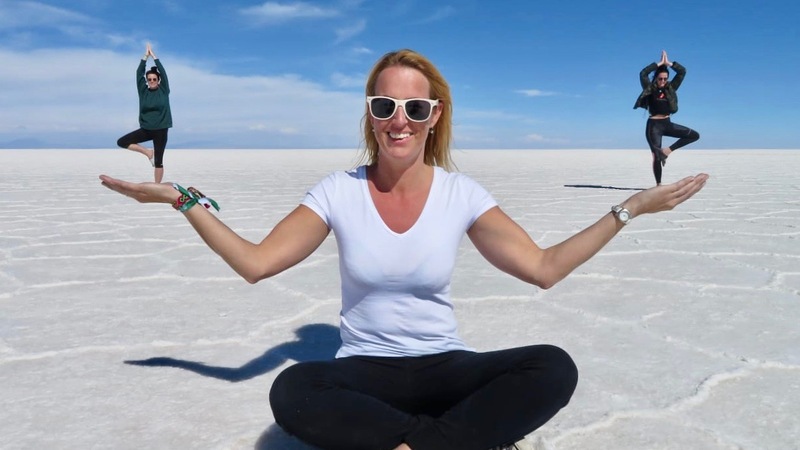 Next, you will find out as we drive into the main attraction – the Uyuni Salt Flats! Marvel at optical illusions, take breath-taking photos and also check out the Ojos de Agua. Following lunch, we visit the extraordinary view of Incahuasi Island, before heading to our first accommodation of the trip staying a salt Hotel! Guaranteed a cozy night’s sleep with a private bedroom and own bathroom. Following breakfast, we head off to see the natural beauty of the National Park ‘Reserva Nacional de Fauna Andina Eduardo Avaroa. Stunning scenery of colourful landscapes, lakes and rugged mountains. We also pass the huge Chilean stratovolcano of Ollagüe and will stop at the salt lakes Laguna Canapa and Laguna Hedionda. Here you can appreciate and admire pink and white flamingos and other birds in their natural habitat. After lunch we continue onward to see the Árbol de Piedra, also known as ‘the Tree of Stone’ in the Dali Desert. Be amazed as you see scenery similar looking to the red planet of Mars! Then we will take in the beautiful bold red colors of Laguna Colorada as we make our way back to Uyuni. Then we travel on to Poques to spend the night. Here you can relax by soaking in the fabulous hot springs. This is the final morning of our Salt Flats Bolivia 3-day tour. First up is the magical scenery of the geothermal area known as ‘Sol de Mañana’. Here you will see gurgling mud pools and geysers shooting steam up to 50 meters high! Up next, the bright colours of Laguna Verde will take your breath away. Again, keep a lookout for flamingos and other local native animals to snap some photos of! Following this, the last stop of our tour is for lunch at the tiny town called Villamar, before arriving back to Uyuni at around 6 pm. To ensure you get a spot, we recommend to book this tour at least 2 weeks in advance. Once your booking is confirmed, you will receive an electronic voucher via e-mail. Day 1 | The Salty Desert Welcomes You! 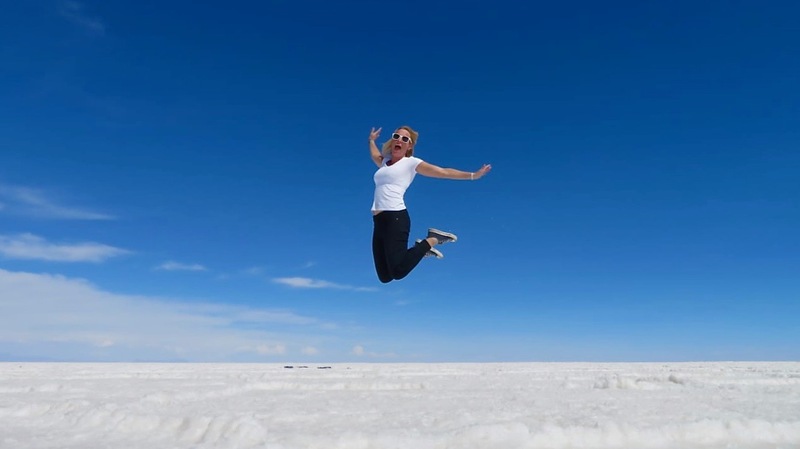 Your Salt Flats Bolivia 3-day Tour begins upon pick-up in the morning from your accommodation in Uyuni. You are transported via comfortable 4x4 vehicles where you will start your journey at the ghostly train graveyard to view the abandoned skeletons of old steam engines and wagons. They were left behind when the minerals they were meant to transport eventually ran out and are an impressive witness of industrial change. Then we visit the gateway for all Andes salt expeditions - the community of Colchani, Potosi. There you will learn how over 20,000 tonnes of salt are extracted every year at the local salt factory. The Museo del Sal offers some interesting insights. You will also get the chance to purchase some unique locally-produced handicrafts and souvenirs made of salt! Surprisingly, not all salt is used for human consumption. 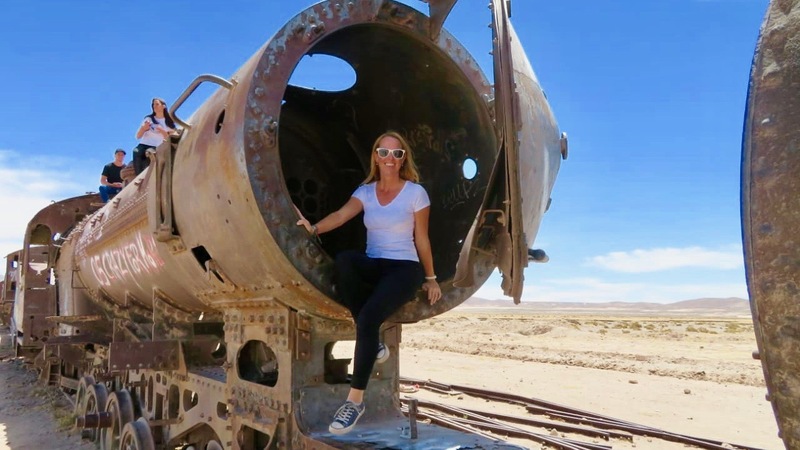 Next up, we drive into the main attraction – the Uyuni Salt Flats! Marvel at optical illusions, take amazing photos and check out the Ojos de Agua. The colourful salt lake’s eyes are formed as the air carried by the water underneath the flats found its way to escape. 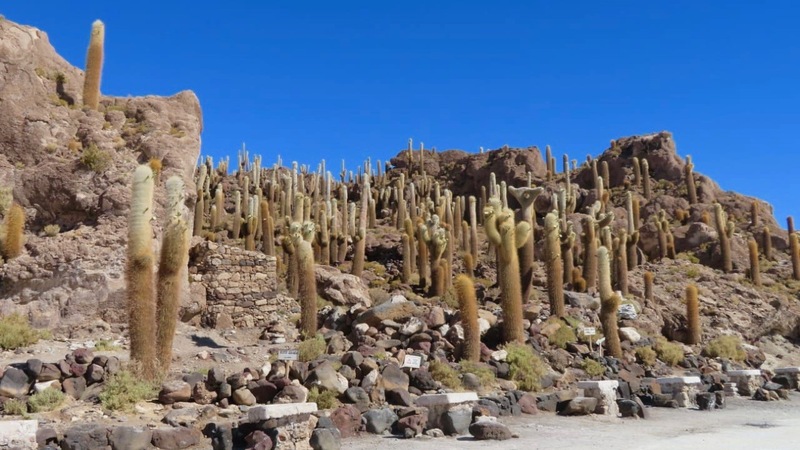 Following lunch, we visit the extraordinary view of Incahuasi Island, now accessible by land, it is no longer surrounded by water, however still offers incredible all-round views over the salt flats, which are framed by rocks and cacti. As the sun sets, we make our way to our first accommodation of the trip on the salt flats in Agencha - Jukil community lodge– A small Hotel made of salt! Here you are guaranteed a cozy night’s sleep with a private bedroom and own ensuite bathroom whilst supporting a local community. After a yummy breakfast, we say goodbye to the salt flats and head off to see the natural beauty of the National Park ‘Reserva Nacional de Fauna Andina Eduardo Avaroa’. 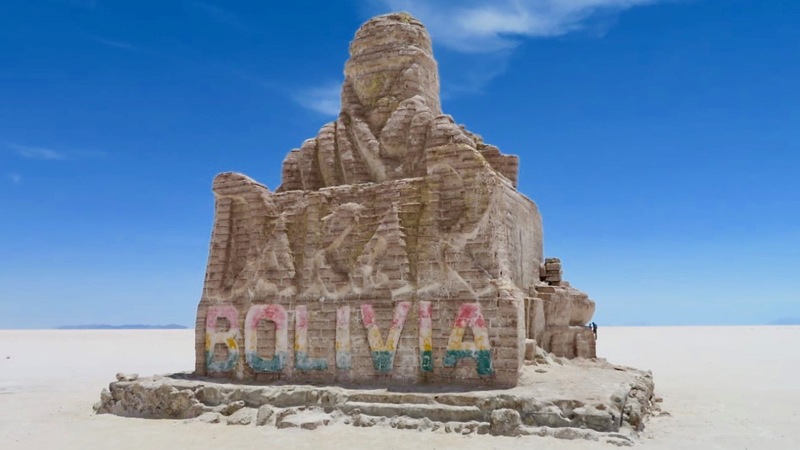 Between the border of Bolivia and Chile, it is stunning scenery of colourful landscapes, lakes and rugged mountains. We will pass the huge Chilean stratovolcano of Ollagüe and will then stop at the salt lakes Laguna Canapa and Laguna Hedionda. Here you can appreciate and admire pink and white flamingos and other birds in their natural habitat. Laguna Hedionda means ‘stinky lake’ and arriving there you will know why – the lake’s minerals are to blame. You might also spot some llamas and alpacas grazing nearby. We will stop for some lunch and then continue onward to see the Árbol de Piedra, also known as ‘the Tree of Stone’ in the Dali Desert. Be amazed as you see scenery similar looking to the red planet of Mars! Next, behold the bold red colors of Laguna Colorada as we make our way back to Uyuni. You will find many resident bird species live here, however the rare ‘James's flamingo’, will certainly be the most alluring. Then we travel on to Poques to spend the night. Here you can relax by soaking in the fabulous hot springs. Tonight’s accommodation is back to basics in dorm rooms. 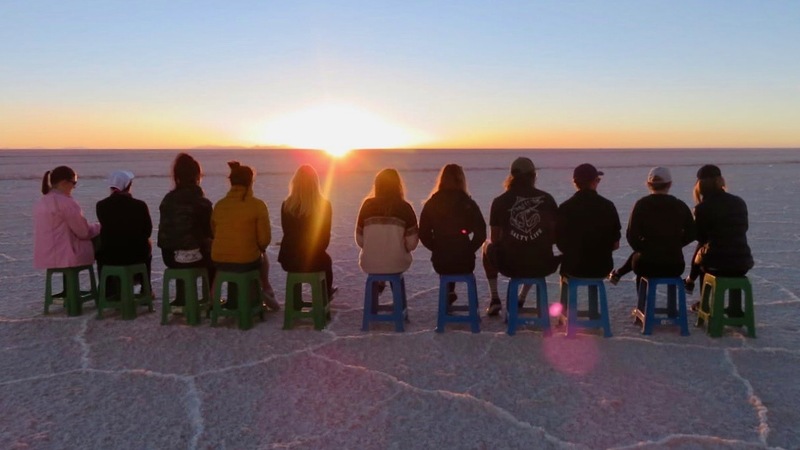 As the final morning of your Salt Flats Bolivia 3-day tour dawns, we will get ready early for 5.30am to enjoy our last day together. Firstly, we will visit the dramatic sulfur springs and geysers of Sol de Mañana, (Spanish for ‘Morning Sun’). Here you will see gurgling mud pools and geysers shooting up steam – the area extends over 10km and truly is an impressive sight. Hopefully you can time it to see steam that rises up to 50 metres high! The bright blue colours of Laguna Verde will be next to take your breath away. The colours here are absolutely stunning. Keep a look out for flamingos and other local native animals here as well! Following this, we will stop for lunch in the tiny town of Villamar before making our way back to Uyuni. Arrival there will be around 6pm, where we all say our goodbyes and drop you to your accommodation or wherever convenient for your onward travel.